In the opinion of the general public, restaurant websites generally suffer from a reputation of poor design and confusing organization. This reputation is completely justified in many cases. The sheer number of bad restaurant websites is staggering. Many sites don’t post a menu, they have compatibility issues with mobile web browsers, or just plain look hideous. Add to that the number of restaurants that eschew websites altogether, and you have a vast and varied customer base that has a fairly negative view of restaurant websites in general. However, this is 2017. There is no reason for any eatery, diner, restaurant or food venue to not have a dedicated website. Social media pages do not count. According to a current research on mobile web searches, restaurants are the single-most searched business (to the tune of 90 percent of business-related searches) on the internet. These searches include computer and mobile searches. Every one of those customers probably uses a website in some fashion to decided where to eat on any given day. The bottom line is that if you don’t have a website, you are missing out on a lot of business. A website alone is not enough, either. Your web presence must be constructed the right way from the start or it won’t be an earner. You can’t skimp or try to create one on the cheap. Unless, of course, you want to compromise the first impression the 90 percent of your prospective customers that try to track you down on Google. Don’t do that. All customers looking for a good place to eat really want just a few basic things from your website. Discover how to give them what they want. I know this is a bit on the obvious side, but if you don’t have an honest-to-goodness website that works, no one will find you online. That means potential customers who are new in town or passing through have no way of discovering your delectable cuisine. Instead of eating local, they will focus their attention on other options they can easily find and read about online. Your menu options must be clearly posted and accessible from the first page of your site without Flash or a PDF download. Otherwise, you may as well call your website a failure from the word go. Keep it easy to read and up to date, and make sure they can get to your menu within a click or two from the home page. 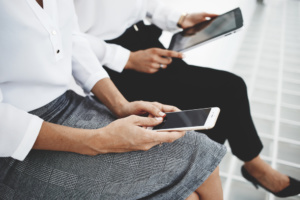 When you design and build your site, you need to make sure customers can easily access, load, and read it on mobile web browsers. Too many restaurant websites require Flash or take forever to load on a mobile device. Hungry people aren’t known for their patience. Making your site mobile-friendly saves you from a multitude of frustrated users checking into other options because your site wouldn’t load on their phone. Customers need to know when you close and where you are if they are going to get there and get food. Your hours and location should be the second thing customers see after the menu. 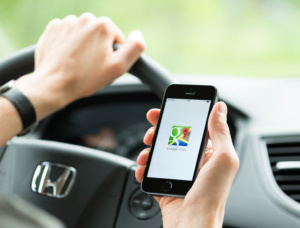 Include a link to Google Maps that they click on, or optimize your map for built-in navigation features on Android or iPhone devices for the best possible convenience. Hungry customers look for a good place to eat, and they want to get there quickly. It is absolutely essential that you have an online reservation system for customers who want to make sure they have the shortest wait possible when dining out at your place. Adding this feature to your site in a highly visible location shows that you consider customers’ needs by providing the ability to plan ahead. Best of all, it cuts down on your phone call traffic. This frees up your staff to attend to customers who are already in the door and enjoying their meals. Is your site pleasant to look at and navigate? Is it just as nice looking on a mobile phone browser? Good job! An attractive, functional, and mobile-friendly website is absolutely vital for any restaurant looking to be successful in the long run. If you haven’t built a site or your site is in need of a facelift, it’s time to get to work. Build a better website, and hungry customers start to beat a path to your door. With the hectic pace of most diners’ lives, eating out is not always an option. However, they have very limited time for food prep when dining in, too. Providing your clientele with an online ordering system reduces ordering errors when taking orders by phone, saves you and your staff time, and allows you to provide the best possible service for takeout. Moreover, customers who order online typically spend $4 more per ticket on average, thereby increasing your overall revenue. Let Orders2.me take your online ordering system to new heights. A better ROI is just a click away.